I love kayak fishing on Cape Cod, especially during the summer. 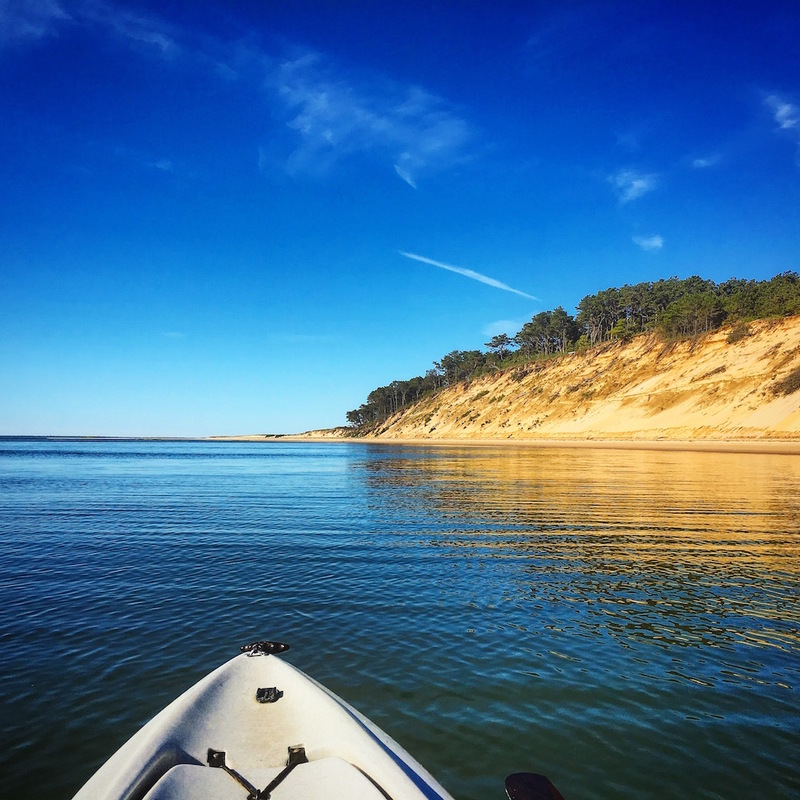 The days are long, and when the weather cooperates, it is hard to beat a day spent on the water in Wellfleet Bay. During the summer, Wellfleet Bay is alive, and everything from coyotes to stripers are active, both day and night. The Lower Cape is also one of my favorite places to visit, especially before school gets out. The traffic is less severe, especially on weekdays, which is when I usually choose to make my treks down Cape. Wellfleet Bay is a favorite kayak spot of mine. A lot of the area falls within the boundaries of Cape Cod’s National Seashore, and is thus conservation land. Much of the shoreline is undeveloped and undisturbed, and it’s not unusual to encounter deer, coyotes and many species of birds which are harder to come by in more developed areas. 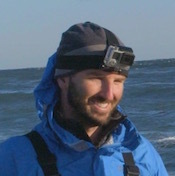 In this post, I will share with you what I have learned during the past few years of my experience kayak fishing Wellfleet Bay. We'll discuss some areas worth fishing, places to launch, as well as some stories and words of advice from my recent trips to the area. Please login or start a membership to unlock the rest of this article. This trip is on the list for me, Ryan. looks amazing! thanks for sharing. I consider myself fortunate that this has been my summer “back yard” for over 40 years and have been able to enjoy its beauty and fishing . Reading your article jogged free many fishing memories from over all those years. Ryan you are correct about the current abundance of schoolie striped bass in the bay. You’re also correct about the influence adult bunker can have. Years ago adult bunker would fill the inner harbor. You would see them dimpling the surface of the water around the moored boats out in front of the pier. And large stripers and gator blues would eventually find them. One summer morning I awoke to find Mayo Beach literally covered with bunker from the feeding frenzy that happened as I slept. So much so that the highway department used their equipment to clear the beach of the carnage. Oh man that must of been quite the blitz. It is not often they call in for highway equipment to clear the beach free of pogies! In the spring the inner cove by the herring river dike can be very productive for both lite tackle and flyfishing. I have had several 70 fish days with many doubles if fishing with teasers. Best time is the outflow from the herring river which counter intuitively is 3 hours before and after LOW tide. Fish will hold just off the stronger flows waiting for small bait from the river. There is a major tidal restoration plan in progress which will likely change everything but is several years away. Yes I heard they may reconstruct that dike to help restore natural water flow and the local herring population. It’ll be interesting to see how that develops! I was once told by a well known, but highly secretive fisherman, the first thing to know about Jeremy Point, is that there’s no such thing as Jeremy Point…. heheheheheheee!!!!!!!!!!! lol, yes guys say that about the canal all the time. The whole “there’s no fish in the canal” phrase gets tossed around Facebook a lot. I would think the fishing at Jeremy was probably much better in the “old days.” I paddle out there each year and have caught plenty of small fish, but no monsters. There are usually some seals slouching around the beach too. Gorgeous spot though and if you want to photograph birds, then this would be the place to do it. Thanks for all the info. Love the underwater footage! I want to explore the Wellfleet area more. We stayed on South Sunken Meadow beach for many years in the summer. That’s a beautiful area too. Of course you could see the “Target Ship” from there (as you could from any town on CCB)! Not sure of you are old enough to remember that Ryan! Again, Thanks for the info, adding Wellfleet exploration to my bucket list. I was born in 1985 so I might of missed out on that Leslie, but can you still see the target ship these days sometimes during a very low tide? Lieutenant Island is a very cool area. Be sure and drive an SUV or some other high clearance vehicle if you visit. The parking area is a mass of twisting ruts that can easily bottom you out as you try and find the best route through. At high tide the approaches to the bridge can be flooded. That is why you will often see shells and debris on that area of the road as it is left there by the retreating tide. Next: “Tide Chaser” Fly Rod Giveaway!